When fresh tomatoes are in season here in Virginia (#RVA), nothing says summertime like a tomato pie in the oven. This recipe has been handed down from my Great Aunt Al who always served it at family gatherings. Still to this day it amazes me how many people have never heard of tomato pie. But, when they do hear about it they are immediately curious to try it. If you like tomatoes, here is what you will need to make your own slice of deliciousness that will have your friends raving summer after summer! And remember, leftover tomato pie is just as delicious as the day you made it. Enjoy and don’t worry about the calories; they are worth every single one of them! 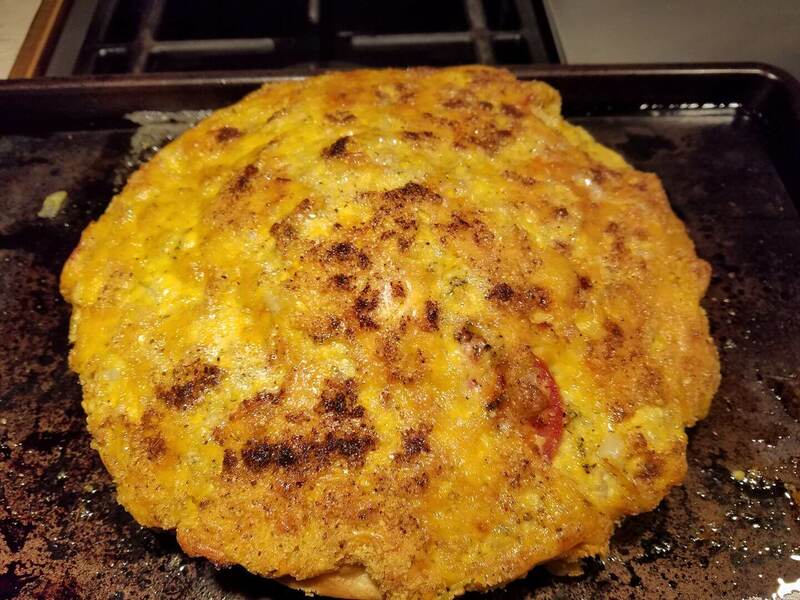 On another note: using the recipe above, although slightly modified, I entered the Hanover Vegetable Farm Tomato Pie contest back in August 2014 – and I won! So I guess that makes Great Aunt Al’s recipe award winning – thanks Great Aunt Al! 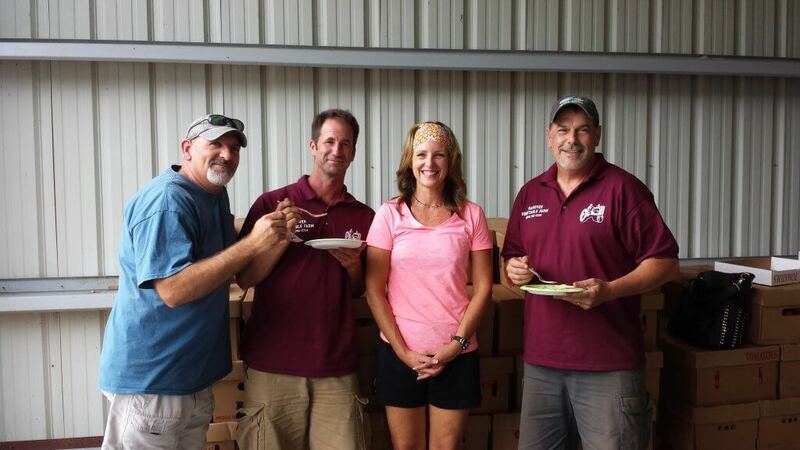 The photo below is with the Hanover Vegetable Farm judges after winning the contest. 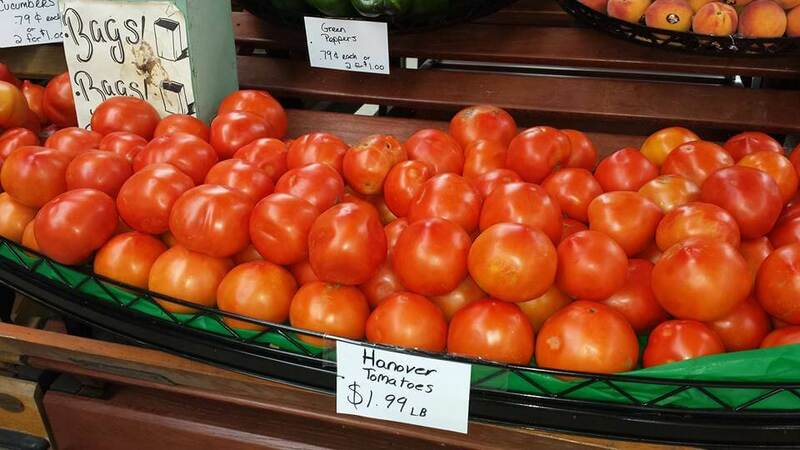 If you are in the Hanover area, the vegetable farm is a great place to get your tomatoes. 6 large Tomatoes Depending on the size of your tomatoes, you may use 4-6 total. Slice tomatoes and allow to drain on paper towels for 30 minutes or so. You will want the tomatoes to drain as much as possible before baking so your pie is not soggy. Pre-bake the frozen pie crust according to package directions and allow to cool. Layer tomato slices in the pie crust by mounting them pretty high in the shell. In between the layers of tomatoes, sprinkle the chopped fresh basil along with some bread crumbs. This will absorb additional moisture from the tomatoes. Sprinkle chopped onions on top of the mounted tomatoes. Mix grated cheeses with the mayonnaise and spread on top of the onions. This is like icing a cake as you will want to completely cover the top of the pie and you may need to add a little more mayo or cheeses to get the consistency you want. I also sprinkle extra Parmesan cheese on top of the pie so it browns nicely. Bake at 350 degrees for 35 minutes or until top of pie is slightly browned. Allow to cool before slicing your tomato pie. I can say from personal experience that Lee Ann’s tomato pies are absolutely fabulous! My husband will not eat Mayo so I subitute 4oz. creame cheese and 1 egg. Sometimes add bacon bits ( real ones). This is great for brunch. I bet that is good Lisa, especially the bacon bits – enjoy the summer! 2018: Last weekend, we enjoyed our last tomato pie of the season. The Hanover tomatoes are about done for the year and Lee Ann won’t make the tomato pie with any other tomatoes.